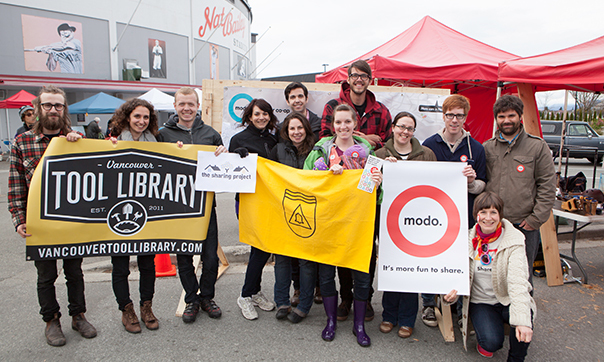 Though early morning clouds threatened rain, the sun decided to shine on the launch of Modo’s Sharing Station at the Vancouver Winter Farmers Market at Nat Bailey Stadium on Saturday, April 6. 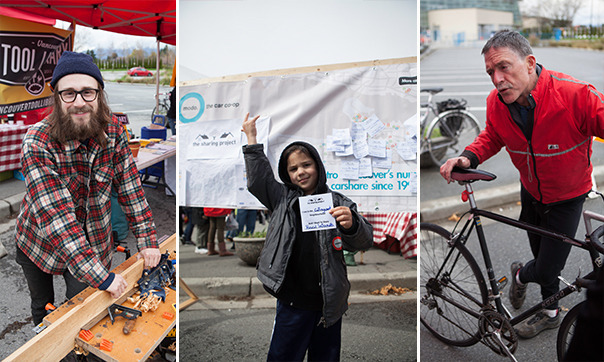 As official sponsor of the market, Modo invited market-goers to experience a day-in-the-life of the city’s burgeoning sharing economy, with workshops in gardening, bike maintenance and cooking offered by Trade School Vancouver; a live hand-tool demonstration by the Vancouver Tool Library; an interactive display by The Sharing Project inviting answers to the question What Do You Want to Share? ; flashcard fun by the East End Food Co-op; and a photo booth by Modo, with Modo members Tommy, Kerry, Marc, Emily, Oliver and Gillian answering questions and sharing about their carsharing experience with potential new members. Read more about it on the Vancouver Observer. And check out our Flickr page for photos by Reckless Photography’s Rufio van Hoover. 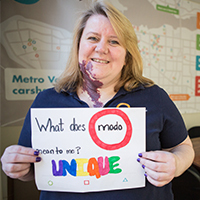 Modo member care manager Shawna Sanderson offers this month’s Pro Tip. 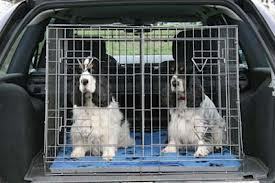 Which can be inconvenient and a nuisance for the next member, resulting in a hefty fine. 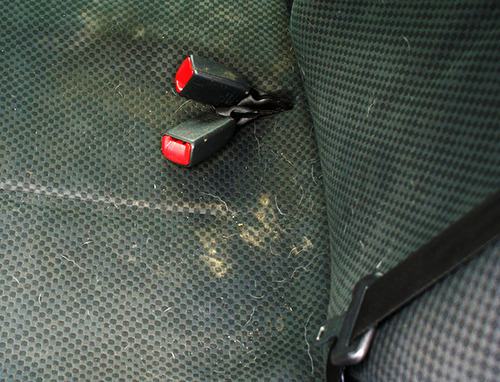 In addition to using a pet carrier, consider packing a lint roller for any stray pet hair. As of June 1, 2013, the updated charge for No Shows will be 100% of the original hourly charge plus a $10 fine. Previously, the charge was 200% of the original hourly charge. For an explanation of this change, such as "Why? ", see our blog. It's always cheaper to cancel your booking as soon as you realize you don't need it, reminds Modo information systems director Karen New. You can cancel a booking at no charge within five minutes of making it, or more than 12 hours before the booking starts. Otherwise, you'll risk paying up to 50% of the time charge for any part of your booking within the next 12 hours, and up to 100% for any part of your booking that's already started. Remember, sharing works best when we're respectful of each other's needs - which includes making sure cars are available when we don't need them ourselves. We did it! With another soggy winter behind us and longer days of mild temps and dreamy sunsets ahead, it’s time to get movin’! 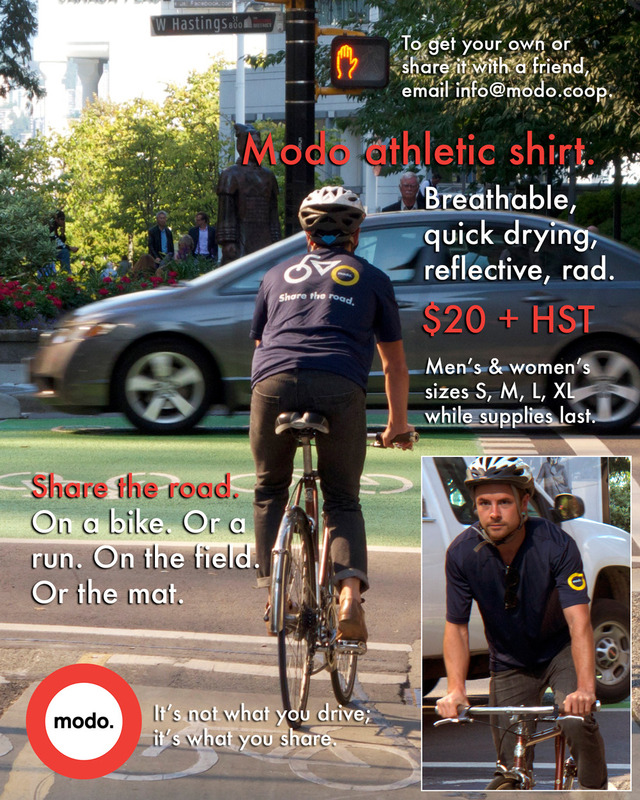 And we’re psyched to invite you to join TEAM MODO for two fun, prize-filled weeks of sustainable commuting! 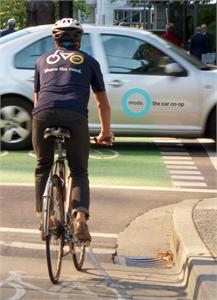 First up, May 27-June 2, the 2013 Spring edition of HUB’s biannual Bike To Work Week! (Remember when TEAM MODO won last year?!) Then, the following week, June 2-8, join us as we walk, cycle, transit, ride-share, carshare (or even work from home) as part of BC Commuter Challenge, presented by BEST (Better Environmentally Sound Transportation). Both events are free and offer opportunities for prizes, tips and new friends! Find registration details and more information on the Modo blog. Find purchase details on the Modo blog. The YES is a summer co-operative leadership camp that provides week-long retreats for teenagers from across BC. The camp focuses on areas of self-awareness, co-operation, communication and global awareness with fun activities, like hiking and canoeing, that emphasize wilderness training and environmental stewardship. The YES builds a strong foundation of co-operative skills and values for leaders of tomorrow. Every year, Modo sponsors two spots to The YES Camp. 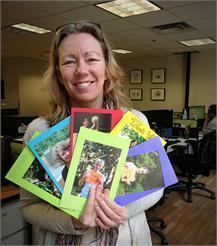 (Pictured at right: Annika shows off a couple handfuls of Thank You cards we've received from campers.) We sponsor members’ children first and foremost – but other family members will be considered! Nominate your youth to be sponsored: email annika@modo.coop by May 17, 2013. Find dates and details here. Note to parents: we’ve noticed that the more excited you are about the camp, the less the kids want to go. So be cool, folks! Breaking News: Sharing works! Over the past month, we’ve seen a surge in media coverage of collaborative consumption models around the world, including several stories featuring Modo and its Community Partners right here in Vancouver. Like what you read or think there’s more to the story? Post comments, write letters to the editor and let media know how sharing works for you. 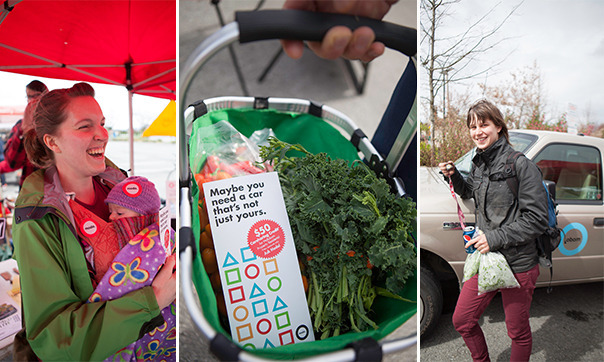 Queen of Green blog (via David Suzuki Foundation): Can I borrow your… sharing economy? BEST, HUB and Mountain Equipment Co-op members receive 10% off all regularly priced items – from bikes to boats - from 7-9pm, at the MEC Vancouver location (130 West Broadway). 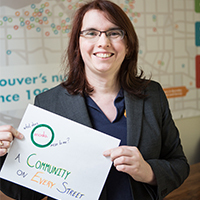 Go online to become a member of BEST (Better Environmentally Sound Transportation) and HUB (formerly the Vancouver Area Cycling Coalition). *** CONTEST: As official Transportation Sponsor to DOXA, Modo is pleased to be able to offer members a chance to win tickets for you and a friend to The Human Scale, presented by Modo on Sunday, May 5 at 5:45pm, with panelists Andrew Pask (Vancouver Public Spaces Network) and Sam Sullivan (former mayor of Vancouver). To enter, simply email marketing@modo.coop (subject: "Contest: DOXA - Human Scale") by 12pm, Thursday, May 2. Three winners will be chosen at random. Woodworking with hand tools is a more contemplative process that brings you closer to the wood and allows you to better understand the material being worked. Vancouver Tool Library shop manager Geof Vincent will introduce participants to the basic tools needed for working wood by hand and demonstrate proper use. Register online or at the shop at 3448 Commercial Street. $20 for VTL members/$25 for the public. We no longer have a car at 510 Nicola. Instead, the 2012 blue Nissan Versa sedan (#376) can be found as a second car at Coal Harbour Community Centre. A 2012 red Nissan Versa hatch (#430) has replaced 2008 Toyota Matrix. A 2013 blue Dodge Avenger (#447) has replaced a 2005 Mazda 5. Find a 2010 red Nissan Sentra (#354) in the 500 block of North Slocan Street, between Trinity and Yale Streets; park just south of Yale, next to Burrard View Park on either side of the street. As we announced last month, there is now a full-size Ford Econoline cargo van (#433) at Commercial-Broadway SkyTrain, replacing the minivan-sized cargo van at E 10th & Commercial. 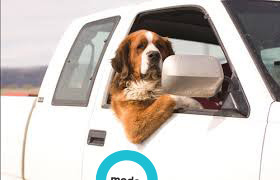 This is a premium vehicle, and its bookings are subject to our premium rates; for details, see http://www.modo.coop/rates/individual or http://www.modo.coop/rates/business. A 2013 red Toyota Corolla (#456) has replaced the 2010 Nissan Sentra. Watershed Co-op location has been abandoned and the vehicle upgraded to a minivan and moved northwest four blocks to the Mergatroid Building. A 2009 red Nissan Cube (#349) is located just south of Vancouver Fire Hall #1, near the curve where Atlantic Street becomes Heatley Avenue. Park on the southeast side of the street, as close to the fire hall as you can. A 2011 blue Toyota Corolla (#369) has replaced the 2009 Nissan Cube. A 2013 silver Toyota Corolla (#457) has replaced the 2009 Pontiac Vibe. We have abandoned this location. A 2009 grey Pontiac Vibe (#275) has replaced the 2008 Toyota Yaris. A 2013 red Toyota Prius C (#454) has replaced the 2003 Mazda Protege. After several years hovering just east of the mall, our Kingsgate Mall location now has two designated stalls in the mall parking lot to accommodate our truck (#294) plus a second vehicle, a 2013 white Nissan Versa sedan (#435)! Find them in the southwest (upper) parking lot of Kingsgate Mall, at the corner of Kingsway and East 10th Avenue. Our permanent parking spots for NV School Board have been installed! Find two designated Modo parking stalls on Lonsdale Avenue, on the southwest corner of West 22nd Street, right in front of the North Vancouver School Board offices. We have abandoned this location, relocating the green Toyota Matrix about a block away to join the brown Nissan Cube at NV School Board.